LANCASTER – A man accused in a drunken driving crash in Lancaster last summer that killed his 4-year-old daughter and injured his two other children pleaded not guilty Tuesday to murder and other counts. Kendrick Travon Harris, 29, of Lancaster, is charged with one count of murder, two counts each of driving under the influence of an alcoholic beverage causing injury and driving with a 0.08 percent blood alcohol content causing injury, and three counts of child abuse. The criminal complaint includes allegations that Harris caused great bodily injury to one child and willfully caused and permitted another child to suffer great bodily harm and death. 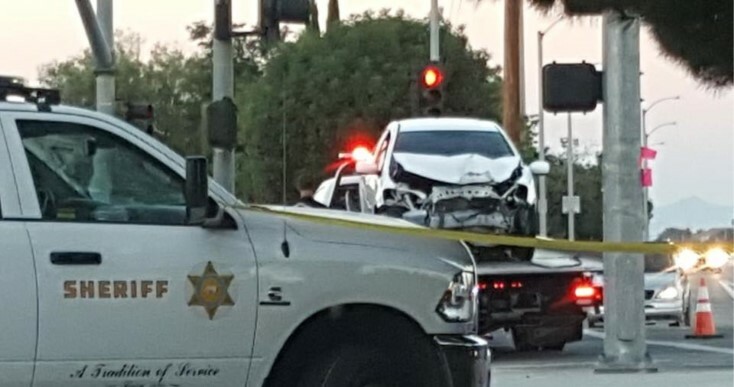 Harris was allegedly under the influence of alcohol when he crashed his vehicle into a pole at the intersection of Avenue K and 20th Street East in Lancaster last July 3, Deputy District Attorney Alberto Jimenez said. Harris’ 4-year-old daughter, Kilee, was killed. His other two children, ages 5 and 9, were injured but survived, according to the prosecutor. Harris has remained jailed since he was arrested July 6, 2018, by Los Angeles County sheriff’s deputies, according to jail records. He is due back in a Lancaster courtroom Feb. 14 for a hearing to determine if there is enough evidence to allow the case against him to proceed to trial. If convicted as charged, Harris could face up to 15 years to life in state prison, according to the District Attorney’s Office. 4 comments for "Man pleads not guilty in alleged DUI crash that killed 4-year-old daughter"
Too bad an eye for eye isn’t proper anymore… I’d let a drunk driver kill him. His poor kids and their momma. How heart breaking. Horrible as a parent to lose a child and he will live with that but he also knew the risks. 10 year stint and rehab and maybe he can come out and live what’s left. This guy is screwed. Just for a few drinks.